Sony has released a huge, huge files, FAQs upcoming PS4 as all-encompassing about the upcoming PS4. the PS4 system opens the door to an incredible journey through immersive new gaming worlds and a deeply connected gaming community, plus it is also an enjoyable experience to play all kinds of movies on Sony PS4 via USB Flash Drive. However, The lack of video file playback is the biggest issue with the PS4. You may want to rip your large DVD collection and put the transferred files playback on Sony PS4. In fact, the DVDs are usually hard to be backed up due to region code and disc encryption protection, and your precious DVD discs will be damaged due to repeated use or in other words, in and out the PS4’s DVD drive over and over again. 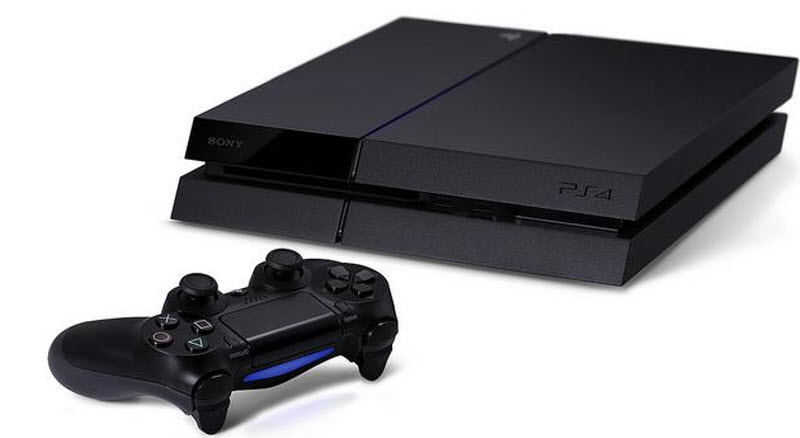 Moreover, other download movie files may not be supported by PS4. PS4 is a good partner for game fans, and it’s also a video player which is the role always overlooked, which supports a lot of media formats including files with MP4, H.264, H.263, DivX, XviD, WMV, MPEG-2 as video format and MP3, AAC, M4A as audio format. Now, we recommend you a best DVD converter called: Pavtuve DVDAID which can rip your DVDs to playable on your PS4 with suitable formats. then you can take it everywhere for playing, Just hold on reading. Step-by-step guide: how to stream DVDs to Sony PS4 for Windows. Step 1: Run Pavtube DVD to PS4 Converter, and load DVD files to it. You can click “DVD ROM” to load movie from DVD drive or “ISO/IFO” DVD ISO file. Step 2. Click on “Format” boarder to set output format. Here the recommended format is “PSP/PS4 >> PS4 Video(*.720p) MPEG-4(*.mp4)” format, and you can also select other options. 1. Click the Subtitle option and you choose the prefer language you want from the drop-down list. The PlayStation 4 (PS4) converter will hard burn the selected subtitle to PlayStation 4 (PS4) video, so that you can enjoy movies with hard-burned subtitles. Then click Audio to select the language like English, French to hear. Click “Settings” to change the video encoder, resolution, frame rate, etc. as you wish. Keep in mind that bitrate higher results in big file size, and lower visible quality loss, and vice versa. Step 3. Finally click on “Convert” button to start converting movies to MP4 for PS4 streaming and playing. When the conversion finished, you can enjoy it everywhere for playing. Hope you have fun! If you also want to enjoy Blu-ray/DVD movies to 3D videos for playback, trying Pavtube Bytecopy (Windows/Mac), which can help you to backup your BD/DVD keeping original subtitle streams and multi-track audios. 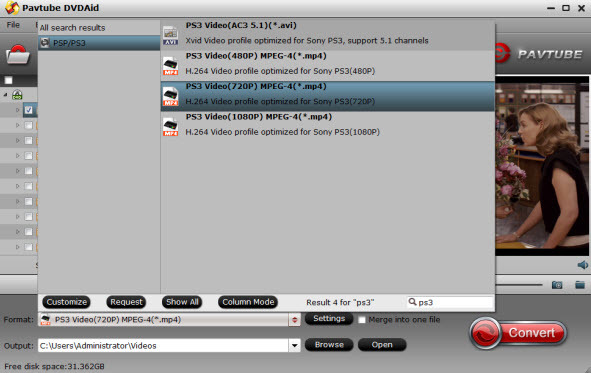 Will PS4 be able to play MKV/AVI video files?